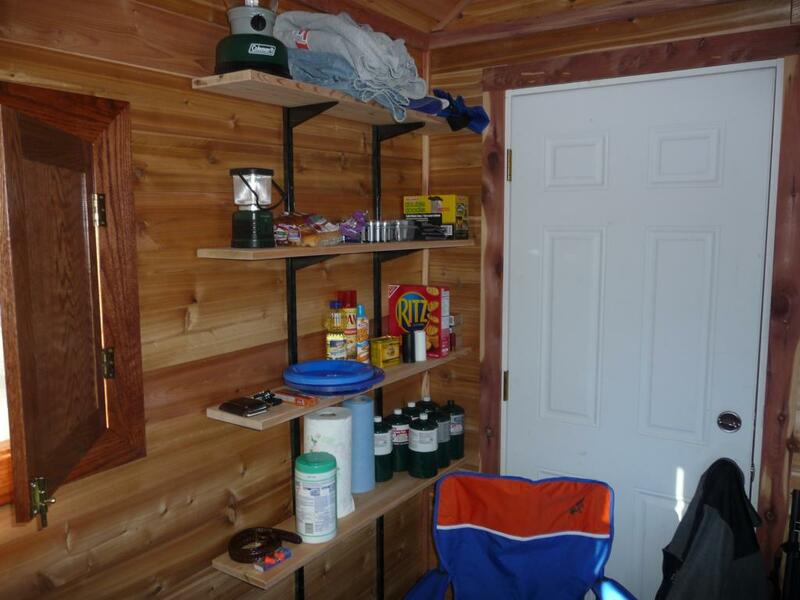 For my second overnight stay at the mini-cabin I added some amenities. I bought a deep-cycle battery and inverter for power. 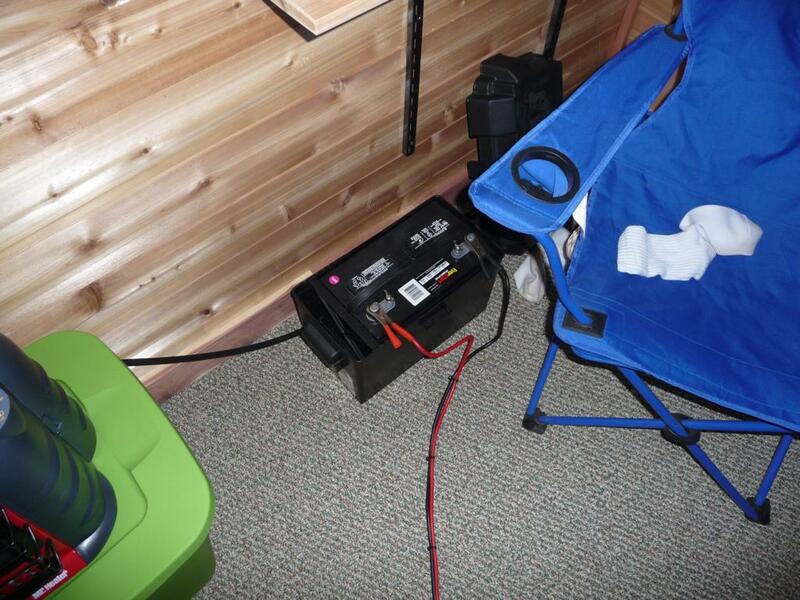 I charge the battery at home and transport it to the mini-cabin when I go. The battery provides plenty of power to run my laptop for many hours. 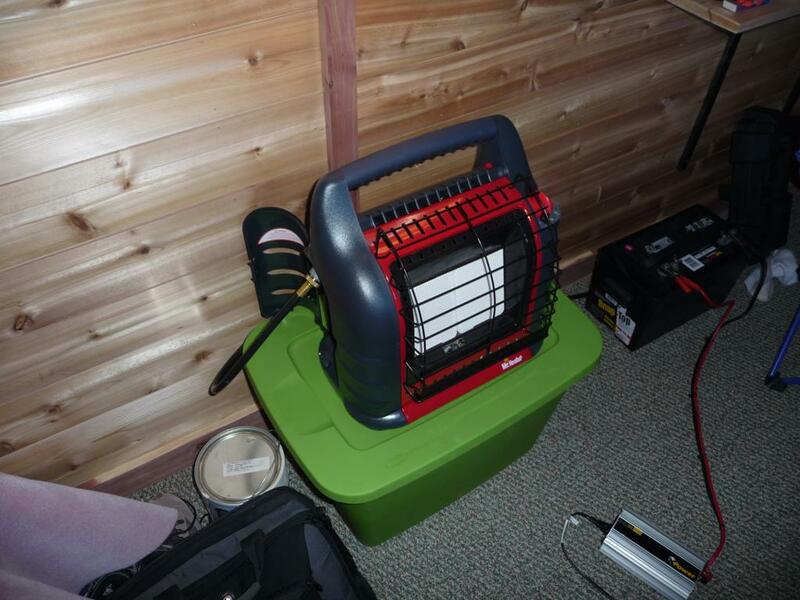 I added a Big Buddy heater which will take two 1 lb. propane canisters. Rather than use the canisters, I hooked the heater up to a 20lb. propane "grill" tank. The tank sits outside on the porch and a hose runs through a hole in the wall to the heater. The cabin is insulated well and is small enough that the heater keeps it warm on the lowest setting, even when it's below 0 F outside. I also built some shelves to store all the items that were previously cluttering up the floor.